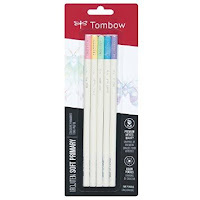 Tombow photo of their range of small packs. 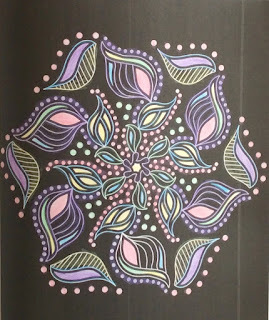 My colouring using just the Soft Primary pack. 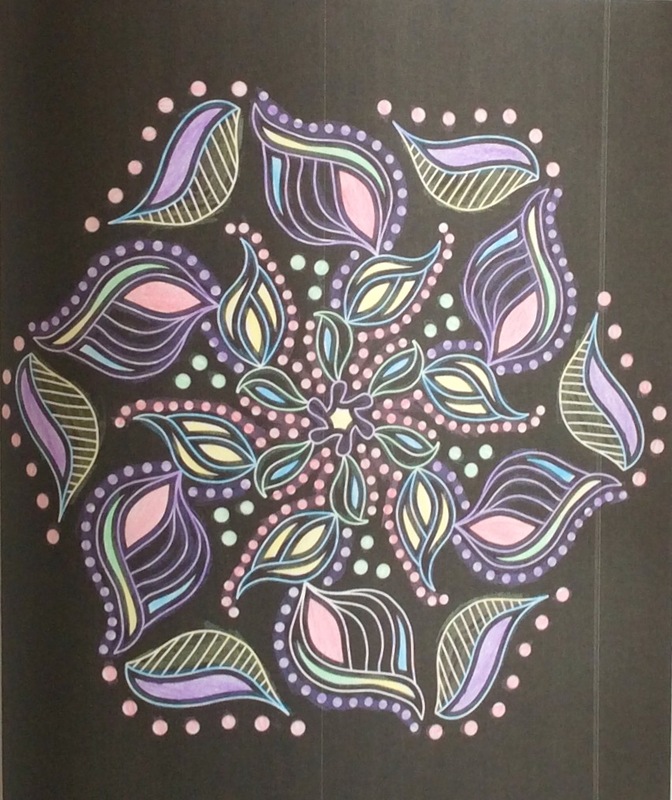 Image is from Glowing Mandalas reviewed here. 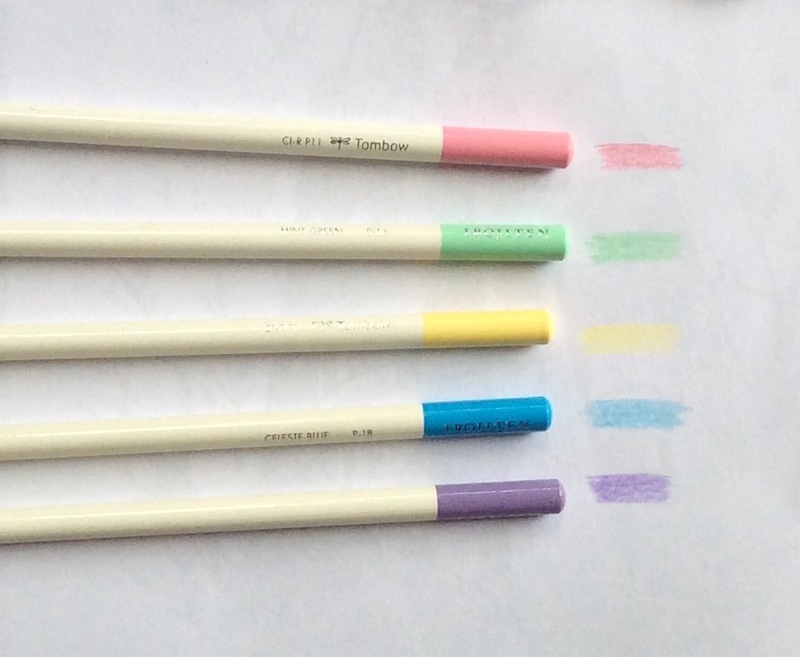 Irojiten Pencils are produced by Japanese company, Tombow. Knowing how good the Tombow brush pens are, I was keen to try these pencils out. However I wanted a small pack at first so these new packs of five pencils are perfect. The pack I bought is the Soft Primary pack. Now I think I need the Primary pack too! - They have a wax core of average size encased in a wooden barrel. - The core isn't as soft and buttery as the Prismacolors but is a bit harder, which makes it easier to sharpen. 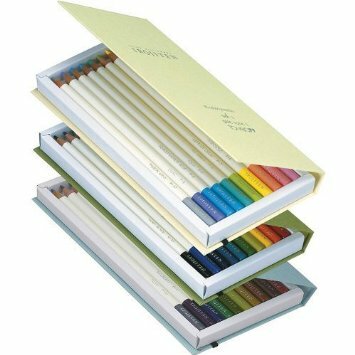 - The range comes in single pencils, 5 packs, 30 pencil packs in selected themes - Seascape, Woodlands, Rainforest. And finally there's the tour de force pack of all 90 pencils. - The packaging looks beautiful in the dictionary 30 pencil packs. The five pencil packs are a normal blister pack. - The colours in my pack mostly match the colour on the pencil barrel. The yellow is paler though. 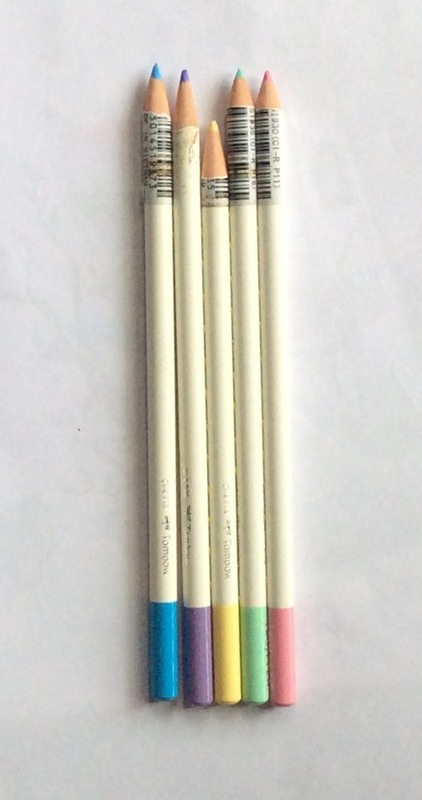 - The pencils have a round, off white barrel with both the colour name and number on them. 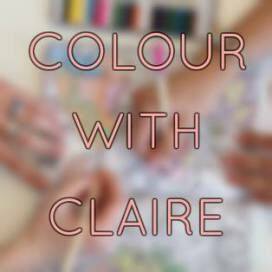 - The colours in my five pack are - Rose Pink, Mint Green, Straw Yellow, Celeste Blue and Crocus. - These pencils are quite expensive and are not as special as Polychromos and Prisamcolor. 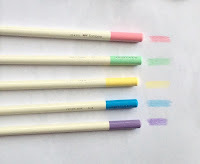 - Overall the colours are slightly different to most pencil ranges which is part of their appeal. I was looking to build up my range of pastel colours. I'm very pleased with the lovely pink in particular and even the pale yellow is more buttery coloured than lemon. I know I'll use the mint and purple a lot too. Because the wax core is hardish, blending isn't quite as easy as with other top ranges but it is fine. You may need to apply more pressure. The colours go on well. Well, I was interested in this as I don't have much luck sharpening wax core pencils. I used both T'gaal and Faber Castell sharpeners. For some bizarre reason these pencils have a barcode label right down at the tip. Removing it leaves a gluey mark so I decided to sharpen through it. The pencils arrive in the pack unsharpened. I'm not sure why this is. Verithin pencils are also unsharpened. All but the yellow sharpened well. You can see how much of the yellow I lost in this sharpening exercise as it broke a couple of times. You can find out more here…..
Irojiten Soft Primary pack also available are 5 packs of Flouroescent, or Sepia or Cool Grey or Primary Colours. * These pencils were purchased by me. 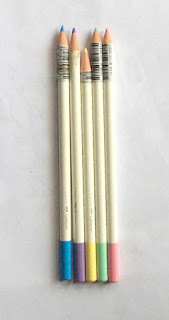 You may also be interested in this review of Staedtler Ergosoft pencils. 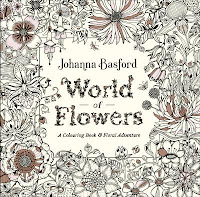 June New Book Releases - review is here. Harry Potter Poster book - review is here. Modern Medi-tation - review is here.